I have participated in the "52 Books in 52 Weeks" Reading Challenge for several years now. There is always a "wrap up" for the year. My list is at the end of this post with links to all my reviews. How many books did you read this year and did you meet or beat your own personal goal? I read 53. My goal was 52, and I was so busy writing my own books (until May) and studying for other things (Pilates and Personal Training Certifications) that I really thought I would not meet it, but I did! Share your top 5 (or more) favorite books. I am adding this almost a year later because I forgot to add it to my 2015 books. I had to read this for my Pilates certification. I didn't really care for it and found it rather dry and boring with illustration somewhat difficult to follow. This book is so gripping that I could not put it down. I love how the author weaves in personal stories about all the key players. You feel very invested in them by the end of the book. It might help you gain insight into the killers in San Bernardino too. This is well-researched and gives the backstory of the December 30, 2009 Camp Chapman attack in Afghanistan where seven CIA employees (or people contracted by them for security) were killed by a suicide bomber. Such a sad story! I bought this book two years and four months ago, and it has sat on my nightstand for that long! It was always edged out by other books I had to be reading for something else. It was such a pleasure to sit down and read this great page-turner as a reward for finishing my Personal Training Certification! I loved it. It has fantasy and suspense. I wanted to finish it so I could find out where all the characters would end up. And the burning question that I had throughout the book was answered. This woman was my nanny when my kids when they were two and four. We moved to Kuala Lumpur, Malaysia in 1997, and I wanted someone I could trust to take care of my kids while I went out and learned the language. She was a great nanny, and she is even a better writer! I just don't see how all that could be in her head! What a creative person! You know I really should get to work on my weight training workout and straighten up the house before the Gingerbread House Decoration Party, but I think I still have lots of time, and I have enjoyed this lovely morning. I couldn't stop doing Messiah Meditations so I finished it up yesterday. 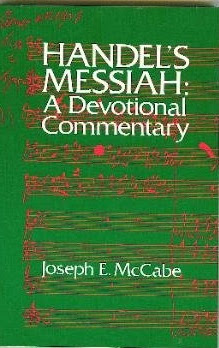 Not that I am going to stop listening to Messiah before Christmas, but I will stop reading the devotional I wrote. This morning I listened to The Promise by Michael Card. LOVELY, LOVELY, LOVELY! It is one of my favorite CD's. I really need to get it on my phone since I seemed to have lost all the CD's I painstakingly put on my iTunes. I am not sure what is up with all of that. In my humble opinion, iTunes gets more and more complicated. It used to be so much easier to navigate. Now, I just cannot figure it out unless I Google how to do things. Oh well, no time for that. On top of all of that, I was updating my Linked In page to reflect that I am now a Certified Personal Trainer. WOOHOO! I know I wrote it, but I actually went through it as a devotional this season! Of course, I found little mistakes here and there. Then I had a friend ask me about using it for her church next December, and that made me want to make sure I fixed those mistakes before they printed the books up. All in all, I am so pleased with how this book turned out! What an enjoyable read! I have had this "tabletop" book for years. I got it for free when I donated to Oregon Public Broadcasting along with the companion DVD that has the Christmas Special TV episode of the same name. I have watched that several times, but I have never opened this wonderful book! It has much more detail than the show, and it even has recipes of the dishes they discuss! He gives a wonderful history of Christmas along with all the holiday traditions that came out of the celebration of the birth of Christ and the pagan festivals that were already in existence. Then he goes through how different countries celebrate. The countries include: England, Norway, France, Germany, Austria, Italy, and Switzerland. It made me want to get on a plane and celebrate there! This is a lovely, poignant, and often amusing memoir of the experiences of a young American wife and mother serving in Afghanistan. I knew Rich and Melinda when they were both students at the University of Oregon. I had a letter from her once when she was homeschooling in Afghanistan during the civil war there in the mid-90's. Then, Rich stayed with us in Malaysia in 1998 when he was on his way to India. Then I talked to Melinda when the World Trade Center fell in 2001. This filled in the gaps of their life for me! It is a great read and only 3.99 on Kindle! I do not recall where I heard about this little book. It had some quotes that were real gems; but overall, I was not super impressed. He does not cite the references for the Scripture he uses in the text. If I did not know my Bible, I would not know they were Scripture. He does reference the Scripture in the references in the end though. It is my last full day of studying before the big test, and I am listening to "All We Like Sheep" in Messiah. I am going through it once again, but this time I am using the devotional that I wrote. I have a couple of people "testing" it out, and I think they are enjoying it. I am ready for this test. I am passionate about wholeness, and that includes physical well-being. Hey, that is what this blog is all about: wellness of mind, body, soul, and spirit. Right now, my soul is being fed with this awesome music! This is a hard part of Messiah, but it is a cleansing part. It is WELL with my soul! :) I think I am pretty WELL physically too. I have been really diligent about stretching lately, especially those pesky neck muscles (found a new sternocleidomastoid self-myofascial release move with a lacrosse ball - how great!). I feel great as a result. SMR (along with MELT) and stretching is my new reality. I just need to be diligent, and there is no pain! What a wonderful opportunity he had to see his life from the outside looking in. I think many people would change if they could see like Scrooge was able to. Just a great story. It is It's a Wonderful Life only opposite. Of course, the counselor in me thinks it is because he was neglected as a child. What a lousy father he had! I am still upset about that. I read this in 2004 when my friend Debbie had just been let go from her job. I flew over to be with her. 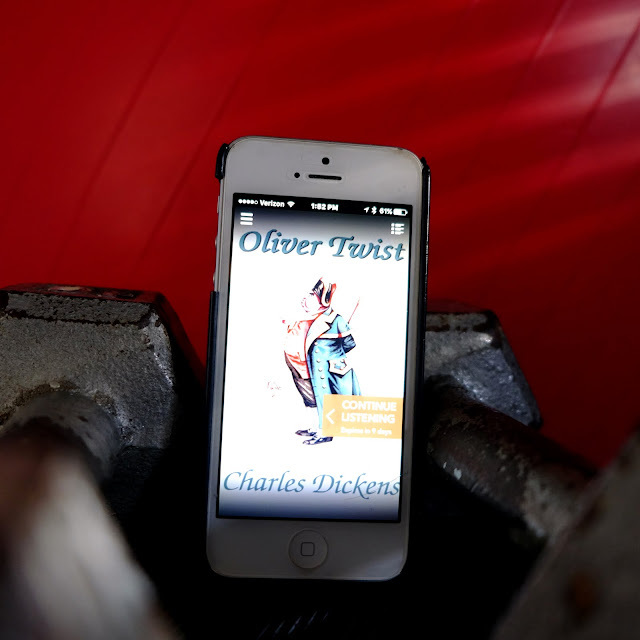 In between her long "core dumps" on me, she would go into her room and cry, and I would read about Oliver, and somehow, it just brought great perspective to things. I was transported back to a time in the early 1800's when life was very hard for the poor. What a picture Dickens paints, and in the midst of the tragedy, such humor too! He was brilliant! I cannot tell you how much I enjoyed listening to Nadia May's narration of this timeless classic. If you have never read Dickens, you are missing out, and this is a perfect one to start with. His characters are so amazing. It was hard to pull myself away from studying for my certification exam, and I was reluctant to even read it again for my Book Dames Book Club, let alone LEAD the discussion for our January meeting; but again, going into this world of Dickens fiction gave me perspective on that too. Go figure! This is the preferred Pilates anatomy book over the book by Paul Massey (see my review for HERE), but I prefer the Massey book because it talks about different postural problems typical for people and how Pilates can alleviate those problems, and that is how I teach. This is not a bad book though, and I learned some new things. I think I would prefer the printed book over the Kindle because it is not spaced well on the Kindle version, and I like looking at the pictures in real books. I am glad I have this one, but I wish I had purchased Massey's because the cheapest used copy I can find is $51! It was only about $20 when I first was looking to buy it. I am thankful that the library has a copy that I can continue to check out though! So, it has been 11 1/2 years, and my Book Dames Book Club decided to read it for January and asked me to lead. Since I have all the notes, I said yes. I am happy to do it. Then, I listened to He Shall Purify - Scene 2, Movements 6-7 of Messiah. I think my absolute favorite part of the whole oratorio is when the chorus joins all together in crescendo and sings "and that they may offer unto the Lord an offering in righteousness" from Malachi 3:3. Sends chills. Reposting this for those interested! (click on each for a link to the meditation for the day) 1.Messiah Introduction Part I: Coming of Messiah 2.Overture: Movement 1 3.Scene 1: Movement 2 4. Scene 1: Movements 3-4 5.Scene 2: Movement 5 6.Scene 2: Movement 6 7. Scene 2: Movement 7 8.Scene 3: Movements 8-9 9. Scene 3: Movements 10-11 10.Scene 3: Movement 12 11.Scene 4: Movements 13 12. Scene 4: Movements 14-17 13.Scene 5: Movements 18-19 14. Scene 5: Movement 20-21 Part II: Redemption by Christ’s Sacrifice 15.Scene 1: Movements 22-26 16.Scene 1: Movements 27-28 17. Scene 1: Movements 29-30 18.Scene 2: Movements 31-32 19.Scene 3: Movement 33 - King of Glory 20.Scene 4: Movements 34-35 21.Scene 5: Movements 36-39 22. Scene 5: Movements 36-39 23. It is that time again! It is MESSIAH TIME! I am listening to Part II, and I already listened to Part I twice, and it is only 7:54 am! LOL! I never ever tire of this timeless piece of PERFECT music. It really is PERFECT! George wants to go to the Portland Baroque Orchestra performance on December 14, but I have this Personal Trainer Certification exam hanging over my head, and I am not sure if I will have it done by then, and I don't want to go TOO far into the Christmas vacation with Michael and Paul studying for it. So, I need to think about. UGH! Well, here we go on a Sunday morn freewrite. I rarely sit for long periods of time and write anymore. Too bad I did not have my treadmill desk when I was writing the Bible Book Club! I would have burned so many calories and saved my back the heartache. I was asked to become a Certified Personal Trainer by a manager of a local fitness facility two years ago, and I am finally getting around to it! I have loved everything about this book. I learned so much! It is 680 pages, but I couldn't put it down! It is so much of what I learned from my B.S. in Foods and Nutrition. I am coming around full circle, and I love it! What a gem of a book! It is short and sweet and to the point. My husband had it from years ago, and I just grabbed it off the bookshelf when I went to go on a prayer retreat. James O. Fraser was a British missionary with China Inland Mission (Now Overseas Missionary Fellowship). He ministered to the Lisu people in China in the early 1900's. So sweet! I just got back from my six month skin cancer check, and I had just one biopsy this time (the last two times were four each with one being melanoma)! I have a whole day to answer my discussion questions and study for my midterm due on November 8. Other than the doctor's appointment at 8:20 am (and I got a interval training walk/run up there and back) and a Skype meeting with Elizabeth at 8 pm tonight, I have a very undisturbed day to study. I like having large chunks of time to be able to get lost in the material because I find the material so fascinating. I realized something the other day. I noticed that I have had very regular and easy bowel movements over the last few months. (Sorry if that is TMI.) I have cut down on caffeine in the mornings. I have always thought that was helpful in that cause. I realized this regularity was coinciding with my increase in doing Pilates. 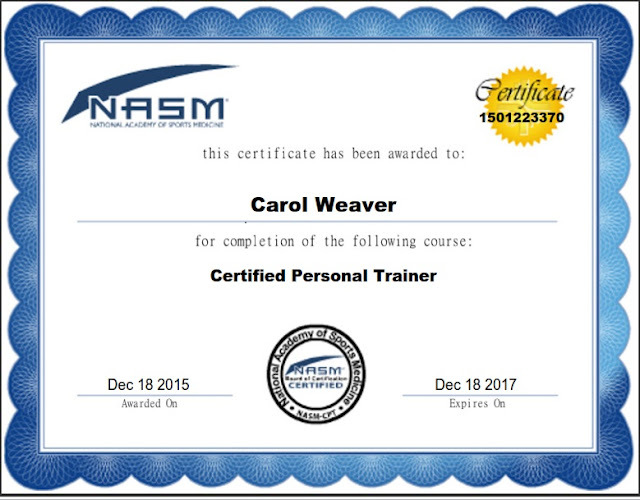 I have been doing the exercises very consistently since I decided to become certified as an instructor in late June/early July. Before, it was hit or miss, maybe once a week or twice a week. Now, I do it three times on Mondays and Wednesdays and at least once on another three days of the week. It is 1:19 pm, and I am going to write for fifteen uninterrupted minutes. I have not written as much the past few months, and that is mainly because my Big Hairy Audacious Goal of the Bible Book Club was completed. I still love to do it though, and somehow I think there is a book somewhere in here. I had two great Pilates classes this morning, and I have one more to go. I did more observing and less demonstrating today. We have a few new exercises that we added that I did demonstrate because they are new, but I wanted to watch around the room, and by Jove, I think these students are really getting it. I think my second class really like the stability balls too. So, I will bring them back after I do a Theraband class next Monday. Some said they were sore from the class, and that is great! I like to challenge them.